Oğuz Güven, the editor-in-chief of the website of Turkish Cumhuriyet daily, was released Wednesday pending trial. The court in Istanbul decided that the time he has been under arrest, his job and residence have been sufficient to grant him a release. 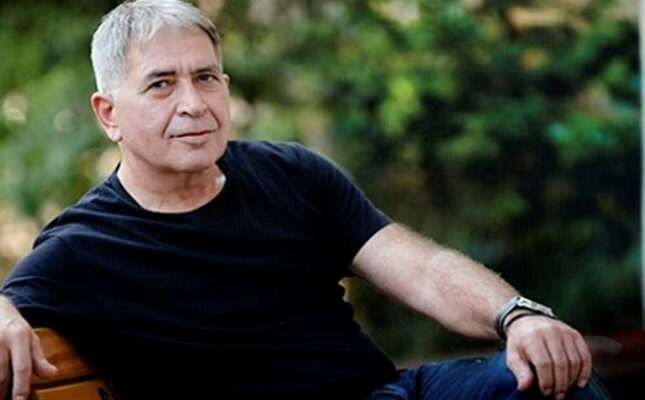 Güven was arrested on May 12 over an article published online. The article was about the death of the Public Prosecutor of western Denizli province, who died in a tragic car accident. Mustafa Alper, the Chief Public Prosecutor of Denizli province, was the first law official to file an indictment about the Gülenist terror group (FETÖ). The article published by Cumhuriyet was titled "Lorry mows down prosecutor who filed the first indictment on FETÖ." Cumhuriyet daily has been under the spotlight since the MİT trucks case. In January 2014, trucks belonging to National Intelligence Organization (MİT) carrying aid to northern Syria, where Turkmens had been exposed to heavy airstrikes and attacks under the Assad regime, were stopped and intercepted by security forces upon the order of former Adana Public Prosecutor Özcan Şişman and Brigade General Hamza Celepoğlu. The supplies in the trucks were seized and MİT staffers were handcuffed before they were detained. The case stunned the nation as it was the first time that the army explicitly intervened with Turkey's intelligence agency. The operation was conducted hurriedly and the governor of the province was informed about the incident in its latest phase. It was later revealed that the raid was actually a plot by the Gülenist Terror Group (FETÖ) to embarrass and discredit the government via its followers who had infiltrated the army and judiciary. Cumhuriyet daily was one of the spearheads in the media publicizing the incident, with a front page titled "Here are weapons Erdoğan said didn't exist." In their website and social media accounts, the videos recorded during the raid were also shared many times. A Turkish court sentenced main opposition Republican People's Party (CHP) Deputy Enis Berberoğlu to 25 years in jail earlier in the same day for his role in leaking secret documents during the MİT trucks case, ruling for his arrest. Cumhuriyet daily's former editor-in-chief, who was on duty during the incident, Can Dündar, reportedly said that he had previously received information and media regarding the MİT trucks case from Berberoğlu.